Experience the Midnight Sun in Alaska! ​Please add your name to our waitlist and we will contact you if space becomes available. 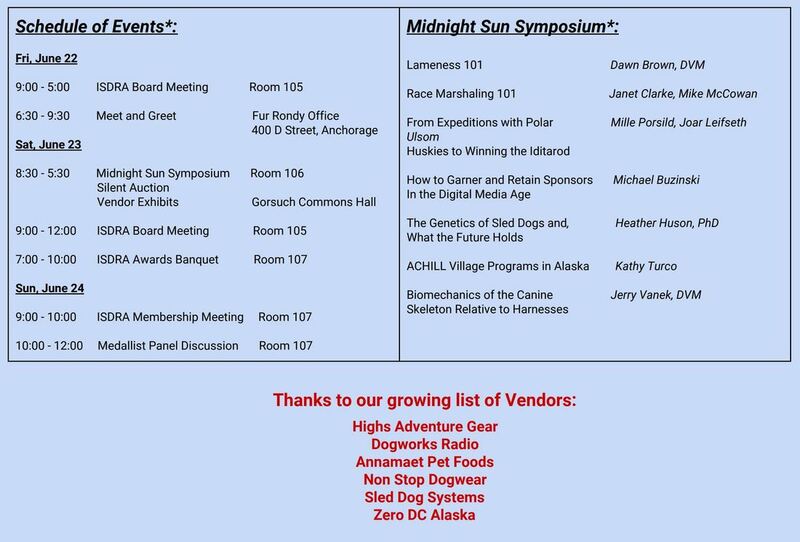 Chugiak Dog Mushers proudly presents a day of workshops and social events. Enhance your knowledge, meet new people and take your team to the next level! Summer Guest Lodging on UAA campus. Clean, modern rooms with private bathrooms starting at $55/person. ​Click here to see amenities and make your reservations. **Reference ISDRA Conference to get our discounted rates.